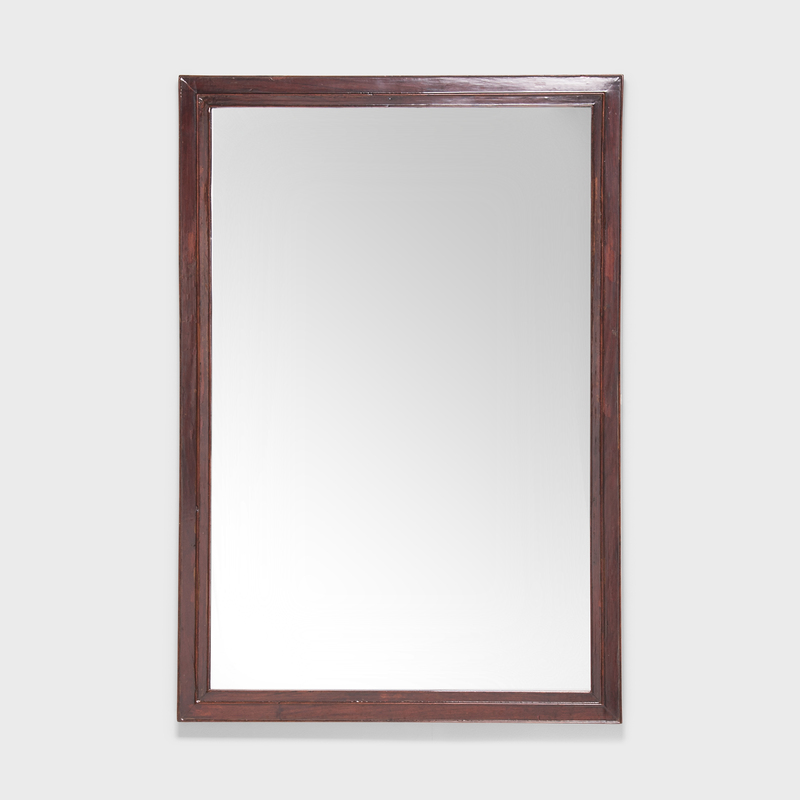 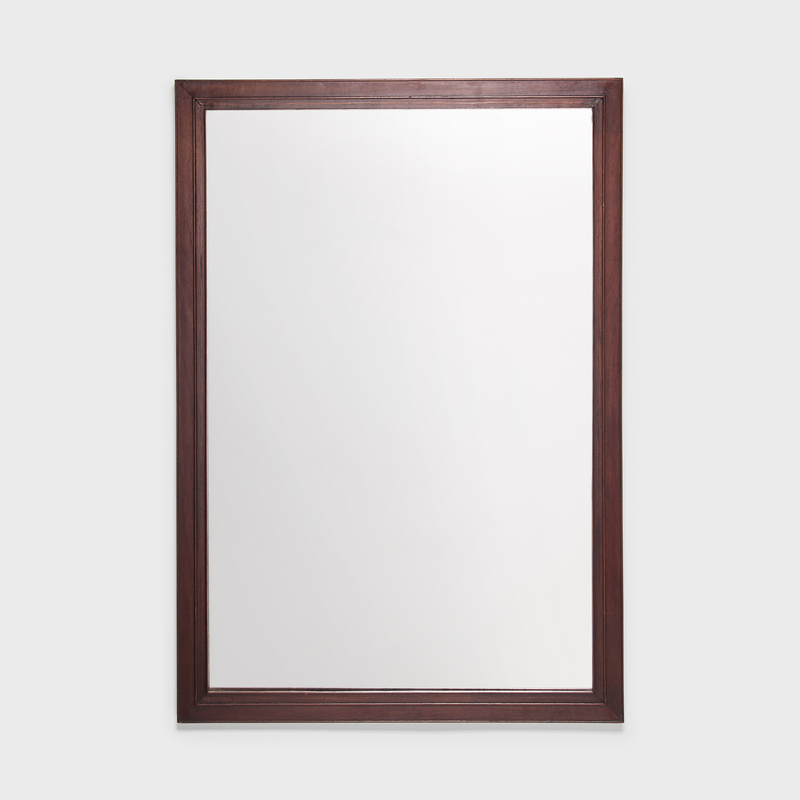 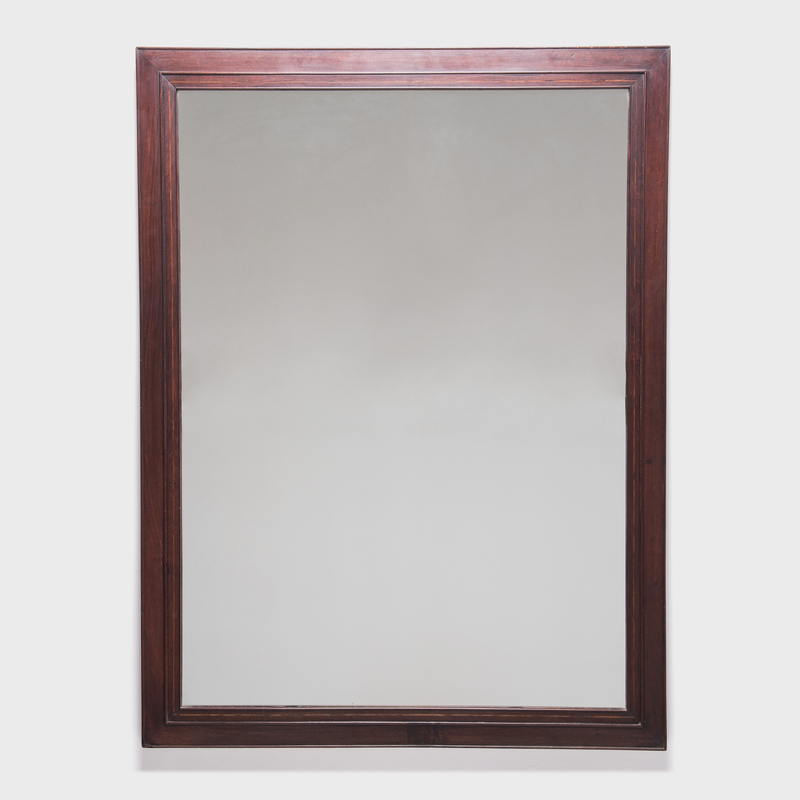 W: 31.0" D: 1.25" H: 45.0"
This mid-19th century Chinese scholars' mirror is crafted from rosewood: a dense, tightly grained and highly esteemed hardwood. 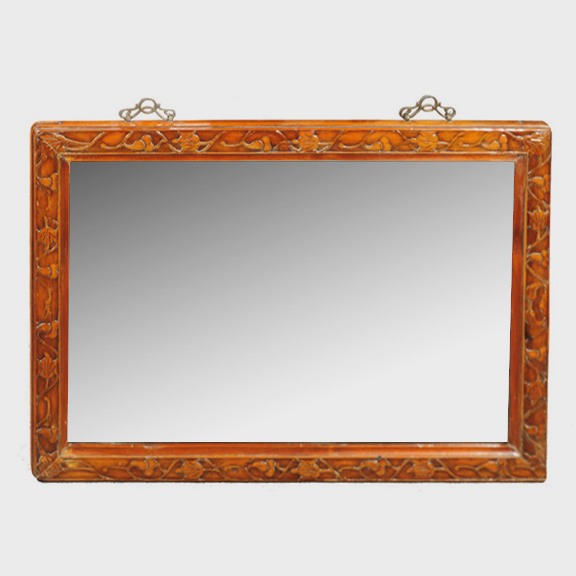 The corners are mitered and the frame is finished all around with three sinuous carved beads. 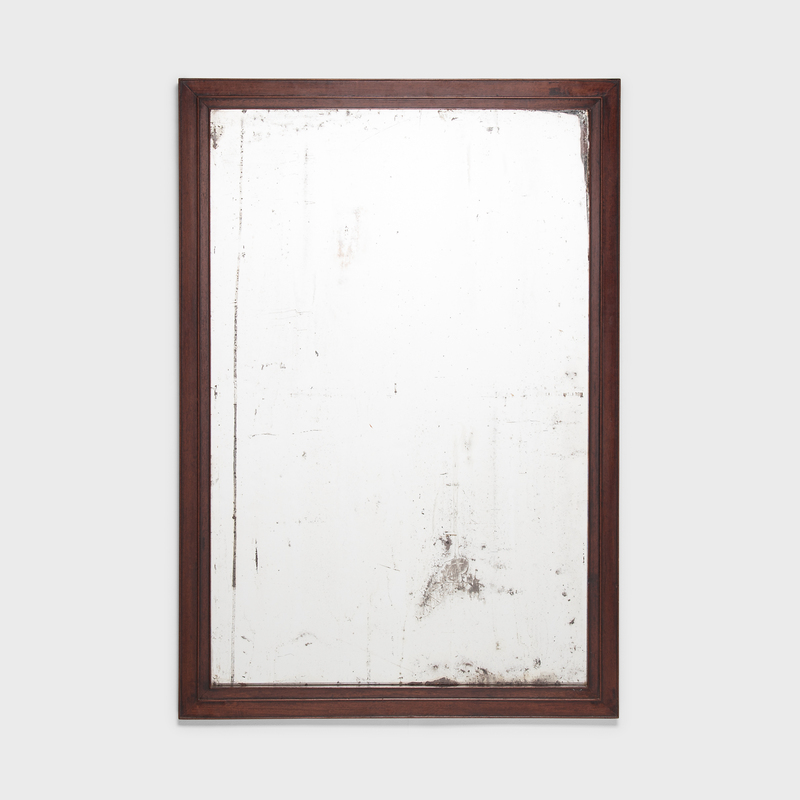 A fresh mirror replaces the lost original.